You read that right. We've got six insanely easy Halloween costumes that call for one key piece you probably have in your closet right now — a striped shirt! From an easy pirate costume to a cute French girl, we've got something that will suit every reader. These also might be the cheapest costumes to make, with very few accessories required to create the look. So for any of you who are looking for a cheap, last minute Halloween costume, read on! Huge thanks to our model, Marissa, a designer here at Brit + Co. Her modeling and acting skills were on point and brought new life to each costume. Grab your striped shirt and pair it with some black denim jeans and black boots for this super simple pirate costume. Create a fringe belt and head wrap from leftover black fabric scraps. An eye patch is a must for this halloween costume. Go crazy and rock your inner pirate by adding extra accessories like a sword or a hook for a hand. Pirates come in all shapes and forms — check out how to complete your look with a pirate braid or create your pirate costume using only black leggings and a white top. I'm stuck in a box! Help! This striped costume calls for a few more accessories than the last. Dig through your costume closet to find suspenders, white gloves, a black beret and a white scarf. Wear these accessories in addition to your striped shirt and dark black jeans. If you don't have these accessories in your trunk of costume supplies (like we do here at Brit HQ), you can score all of these pieces on Amazon for under $20. Using a paint brush, water and Ben Nye Makeup Creme in black, draw diamond shapes on top of your eyes. Finish off the mime look with a bright red lip. B*TCH better have my money! Catch that girl with the loot! But really, hold up because this is the easiest costume to date. Another bonus: You can dress your date as a robber for a partner-in-crime couples costume. Same story for this costume. You need a striped shirt, black jeans and black boots. Grab an old pillowcase and draw a dollar sign on the front using a black sharpie. Finish off the costume with a black eye mask and black beanie. "Pay me what you owe me." — Rihanna. "Number 31 — off sides!" We know that technically referee stripes go up and down, but when we saw this picture of Beyoncé, we had to include this look in our striped shirt Halloween costume post. For this look, pair your striped shirt with a pair of leather shorts and tall black leather boots. 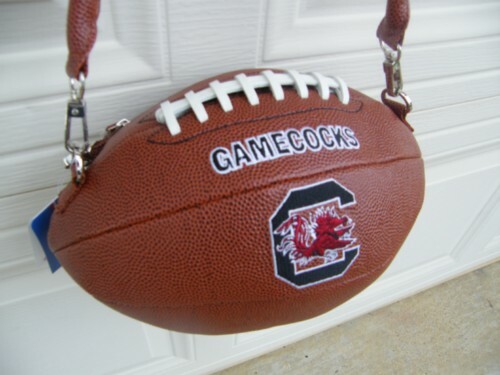 Don't forget a football which is your key accessory. Maybe even try DIYing it into a purse for the night. Top off your makeup with thick black stripes under your eyes. We used Ben Nye Makeup Creme in black. What did this little bird do to be in jail? For a punny take on the term jailbird, pair your striped shirt with a striped skirt or leggings to mimic the striped prisoner uniform. Top it off with black wings and a signature set of prison numbers. This jailbird can't wait to be a free bird! We used the Cat Eye Kit to create winged eyes. Continue the eyeliner line down the nose to make a beak. Oh French girls, you are always so effortlessly chic. Ladies, Halloween is the perfect time to dress up as someone or something you've always wanted to be like duh, a French girl! Pair your striped top with a black skater skirt, suspenders, red heels and a red beret. Take risks with your hair with these 12 ways to style your hair like a French girl and don't forget French girls never contour!